Calling this recipe a cake is not really accurate. It does contain a cake mix, but it is more a dessert casserole. It has the tart sweetness of cherries and the wonderful tropical flavor of pineapples. Topped with a yellow cake mix, it is truly a dump and bake dessert. I posted this recipe a couple years ago, but since I’m making it again today, I’m reposting it. This recipe comes from an old Lutheran Church cookbook that I was given back in the 70s. It was great then and it is great now. I hadn’t made this cake probably since my mom passed away in 1987, but I resurrected it a couple years back and made it for my husband. He had never eaten it before and kept asking “What’s this called? 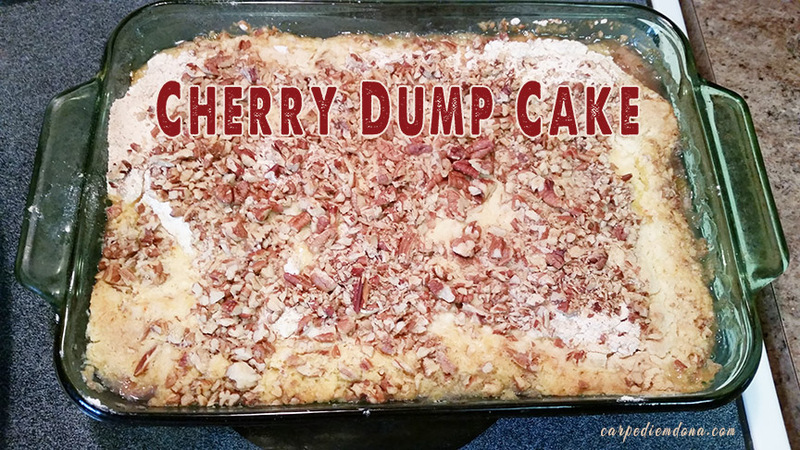 Dump Cake?”. He ADORED it! In a 9×13 inch pan mix cherries and pineapple. 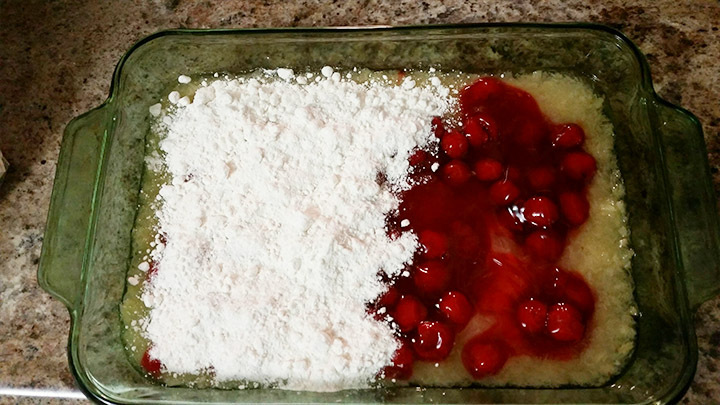 Sprinkle dry cake mix over pineapple and cherry mixture. Sprinkle chopped nuts over the cake mix. 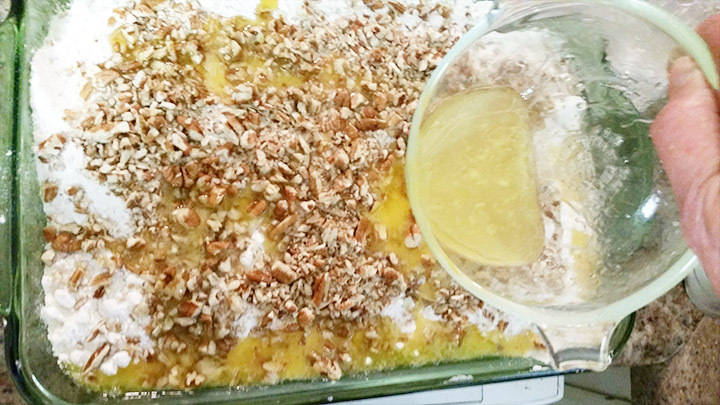 Drizzle top with melted butter or margarine. Bake in 350° oven for 35 or 40 minutes. Let cool and top with vanilla ice cream or Cool Whip if you’d like. Scrumptious!